Start reading The Widow Of Ballarat on your Kindle in under a minute. I felt as though I were stepping back in time as I read The Widow of Ballarat. Living in another Australian gold mining town I have a strong sense of the historical setting and of the lives of miners and the women of the Australian goldfields circa 1850 and this novel bore out all I know. More than the history though I felt as though I were living the lives of some of the women in the goldfields as I watched life taking place through Nell’s eyes. We so often forget the roles women played at the diggings and in this story author Darry Fraser has given us a clear picture of those times. This is not just a historical essay, however. It is a skilfully woven tale of one woman’s strength of mind and purpose as she makes a new life for herself following the shooting death of her husband. I felt for Nell as soon as I met her and empathised as she faced one challenge after another. Nell is not the only important character in this story. Finn Seymour, who first appears garbed as a bushranger, slowly becomes Nell’s love interest. I fell a little in love with him as soon as I learned his name. Seriously. Finn is one of those gorgeous Irish names that almost makes me swoon. This story struck chords for me throughout. I loved the window into the past, but I also loved the actual story telling. Once I started I struggled to put it down. It has been my introduction to Darry Fraser’s writing and I am now keen to read her other two Australian historical novels. 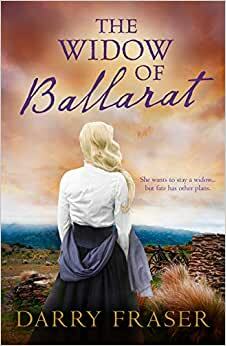 Having ancestors who lived and worked on the goldfields around Ballarat and Bendigo, Darry’s book was a wonderful snippet of life and the hardships faced around the time of the Eureka Stockade, intertwined with a surprising love story that evolves between an unlikely couple. I couldn’t put it down and zipped through the book in a day or so, around post Christmas activities. I also recommend starting with the free prequel Hill of Gold. Darry Fraser has always had a strong writing 'voice', and in this novel she has hit a new level of maturity and confidence. The story is interesting, the characters convincing, the background well researched. A good read. This book gives a different perspective of the gold rush era in Ballarat. It is interesting to relive a part of history in a place I have lived my whole life. I thoroughly enjoyed reading this novel.